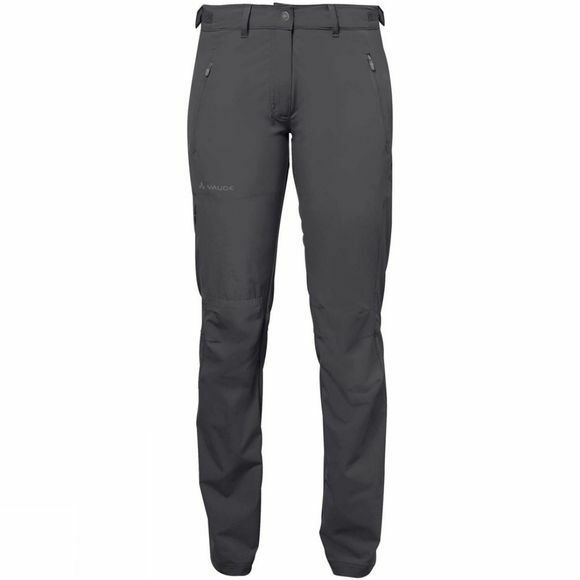 The Women's Farley Stretch Pants II from Vaude are extremely comfortable hiking pants made from environmentally-friendly bluesign certified materials. Cuts a good figure on every trip. 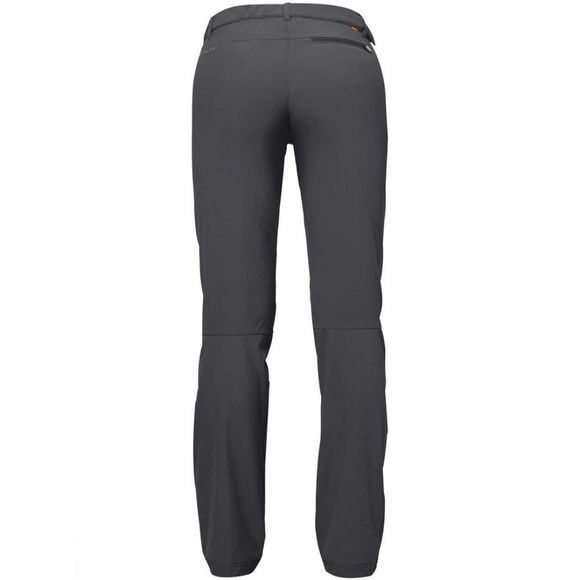 The comfortable waistband, high share of stretch and articulated knees deliver a high level of comfort. Easy-care, quick-drying fabric ensures reliable performance. With zip pockets to keep your belongings safe. This product was manufactured with Eco Finish and is eco-friendly, water repellent and fluorocarbon-free (PFC-free). Green Shape is your Vaude guarantee for environmentally friendly products–from sustainable materials, resource-efficient manufacturing and fair production.